We collect you from the Outback Pioneer Hotel, Ayers Rock Resort about 15-20 minutes after sunset. 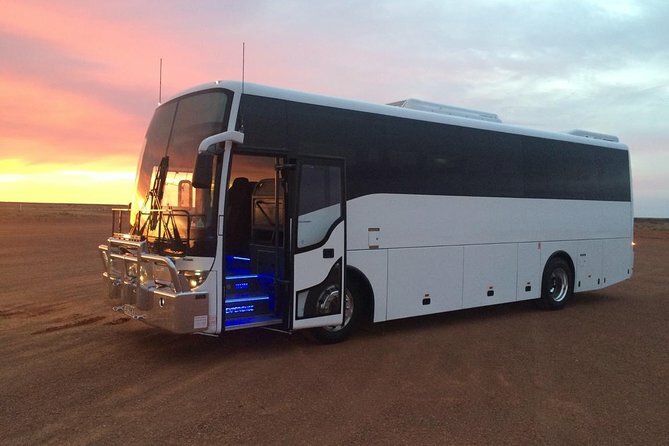 The bus will arrive in Alice Springs at approximately midnight and we will drop you off at your Alice Springs accommodation. Please refer to the list below for a more accurate pick up time. Times indicated are the earliest times for the month. Please confirm the sunset time at Outback Pioneer Hotel. Children aged 15 and under travel at a discounted rate of $95 per person.